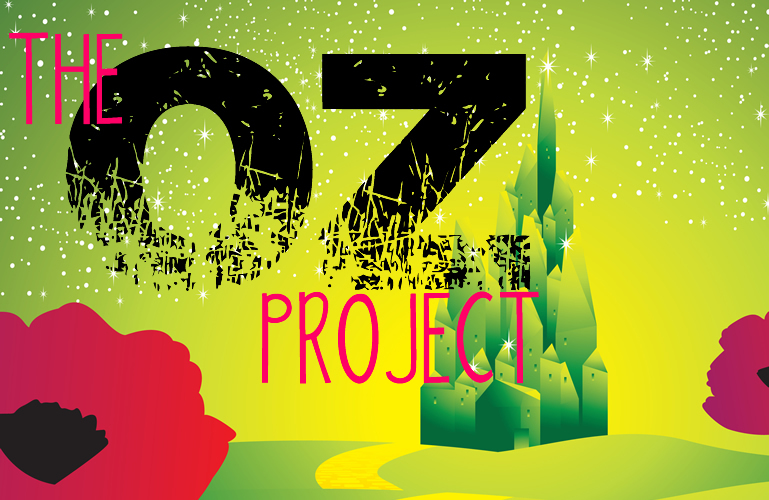 The Oz Project Parallel 45’s spectacular fall production is a completely original musical experience based on The Wizard of Oz, directed and choreographed by founding member Justin Perez. This jukebox musical will feature bold design elements and stunning contemporary dance set to popular songs from across the canon. Come experience this classic story reconstructed in new, dazzling ways! Wizardly tale: Ziaukas: Baum never a Bradfordian despite rumor University of Pittsburgh at Bradford professor Tim Ziaukas laid to rest a rumor that has proliferated Bradford for many years — whether L. Frank Baum, author of “The Wonderful Wizard of Oz,” had really lived in the city. “L. Frank Baum was never a Bradfordian,” said Ziaukas, who is a professor of public relations. The error comes dates back to the Nov. 19, 1899, edition of the Syracuse Standard titled “Father Goose”: “Mr. Baum … founded The Era at Bradford, Pennsylvania, which has become a flourishing daily.” “There it is. And it’s not true by a long shot, nor is it known if Baum himself fabricated the data or the journalist made a mistake,” Ziaukas said. ‘Wizard of Oz’ coming in 3D for one-time showing The Lake Arts Council, Hy-Vee, and Wehrenberg Theater Eagles’ Landing, are thrilled to bring one of the most beloved films of all time to the lake area. 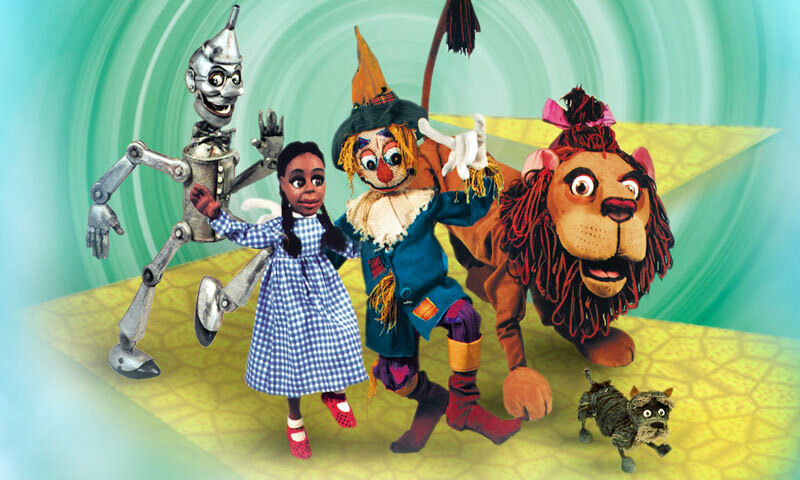 On Saturday, Nov. 8, you will be able to see the classic “The Wizard of Oz” in 3D beginning at 11 a.m. This event is partially sponsored by the Missouri Arts Council, a state agency. In addition to seeing the fabulous classic in 3D, The Lake Arts Council will sponsor a “Wizard of Oz” costume contest for all children, preschool through high school. Judging will begin at 10 a.m. in the lobby of the theater. Prizes will be awarded to winners in four age groups. Remember, only “Wizard of Oz” costumes may compete in the contest. We’re Off To See ‘The Wizard of Oz’ “The Wizard of Oz” is presented on the main stage at the Center for Puppetry Arts and is a glorious example of traditional puppetry at its finest, filled with great special effects (truly one of the rare marionette performances to feature a tornado lifting a house into the sky) and a host of songs — composed and performed by Steve Frisch — that fit so perfectly they should have been in the movie version. Each of Dorothy’s three companions poignantly sums up his plight in a song — “Strawman Blues,” “Tinman Blues” and “Cowardly Blues.” And of course the hopeful solution to all of their problems — including Dorothy’s quest to find Toto and to get back home — is to follow the yellow brick road to the palace of the great and powerful Wizard. I’m a Celebrity meets the Wizard of Oz: Watch Ant and Dec head up the Yellow Brick Road It is filmed in the Australian outback rather than the Land of Oz, but Declan Donnelly recorded a Wizard Of Oz-themed trailer to mark the return of the series, which this year is rumoured to include singer Tulisa Contostavlos, Olympic diver Tom Daley, TV host Melanie Sykes and former Coronation Street actress Michelle Keegan. In the trailer, the duo decide to follow a yellow brick road to find camp. Appearing from a hut looking flustered, Ant says: “Ooh, that was a whirlwind journey.” “Which way to camp then?” asks Dec, looking around. They spot a yellow brick road and both point, excitedly saying, “Follow the yellow dirt road!” “Hold on, what on earth are you wearing on your feet?”, Ant then asks Dec. “Do you know what? They’re surprisingly comfy,” says Dec, clicking the heels of his sparkly, red slippers together. Oceans 234: Wizard of Oz Bash Oceans 234, one of Deerfield Beach’s most popular beachfront restaurants, will be hosting a Wizard of Oz-Themed Halloween Bash on Friday, Oct. 31, at 8 p.m., this year featuring a frightening “Wizard of Oz” theme. Guests are invited to wear their most devious disguises to enjoy a costume contest, prizes and live entertainment in the Emerald City-inspired environment. Festively costumed staffers will serve hand-crafted drinks and for a wickedly good time. This Wizard of Oz-inspired wearable lets you click your heels to order a taxi or text your friends We’ve all found ourselves trapped in an awkward dinner situation where we want nothing more than to be rescued by a “important call.” A new device called Dorothy might be able to come your rescue. A different take on wearables made by iStrategyLabs, Dorothy works by attaching a ‘Ruby’ (a small Arduino-based Bluetooth device) to your shoe and tapping your heels together three times to trigger an action. KC Wizard of Oz World Record Attempt More than 250 people costumed as “The Wizard of Oz” characters gathered at the Legends Outlets on Saturday morning attempting to set a Guinness World Record. The Kansas City Star arranged the event in honor of Halloween and the movie’s 75th anniversary. Flashmob of Dorothys proves a wizard spectacle at Born in Bradford Festival MORE than 100 women and girls donned their red shoes for a Dorothy from the Wizard of Oz-inspired flashmob in the centre of Bradford during an action-packed weekend of activities. The impromptu performance was held as part of the weekend-long Born in Bradford Family Festival, which took place at the National Media Museum and City Park. The troupe, led by Glinda, the Good Witch of the North, skipped and danced their way through the Mirror Pool in a five-minute display organised by the Irregular (Arts) group, based in Shipley to mark the 75th anniversary of the classic film starring Judy Garland. Albino Dragon announces customized playing card deck based on the classic film THE WIZARD OF OZ Albino Dragon, the Austin, Texas-based tabletop game publisher, is proud to announce their newest project, an officially licensed, customized Bicycle playing card deck based on the much-beloved movie, The Wizard of Oz. The project was launched on Kickstarter and, in less than one week, has already met its goal. Fans are very excited to receive the playing cards, which are illustrated and designed by Noelle Pugh, and officially licensed by Warner Bros. Consumer Products. The decks will feature one-of-a-kind court cards, custom jokers, and custom pip cards. The cards all feature rich artwork based on The Wizard of Oz. Maintaining their commitment to quality and excellence, the deck will be printed by the United States Playing Card Company (USPCC), the same company that produces the Bicycle brand. Hillary Clinton Flying Monkey Signs Deface Brentwood Ahead of L.A. Fundraiser Guerrilla street artist SABO, who made headlines with his Gwyneth Paltrow “Obama Drone” poster, has struck again — this time ahead of Hillary Clinton‘s upcoming Democratic fundraiser at Tavern restaurant in Brentwood. 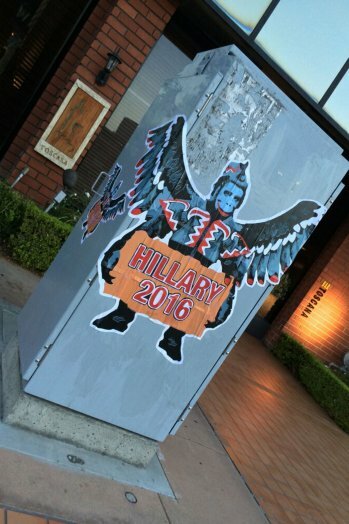 The Los Angeles artist early Friday hung signs depicting Wizard of Oz flying monkeys holding “Hillary 2016” signs from traffic lights and pasted them on utility boxes near the San Vicente Boulevard restaurant. “Judy Garland And Friends: Duets” & “That Old Feeling: Classic Ballads From The Judy Garland Show” Available On Savoy Jazz Songstress Barbra Streisand has been garnering incredible attention and sales for her “Partners” album, but Savoy Jazz has a few of the brightest gems in her duet repertoire—her duets with icon Judy Garland. The songs featured on two Savoy Jazz releases– “Hooray For Love” medley which appears on “Judy Garland and Friends: Duets” and the all-time classic “Get Happy/Happy Days Are Here Again” medley taken from “That Old Feeling: Classic Ballads From the Judy Garland Show”—are priceless recordings from the early 60’s. 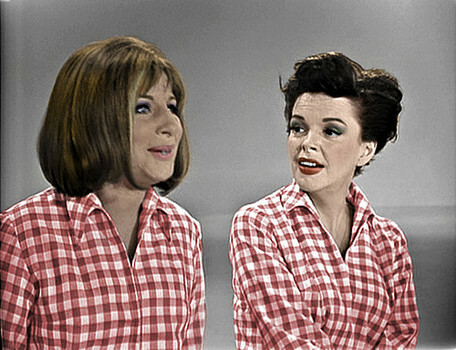 Both albums are collections of hand-picked performances taken from the 1963 CBS-TV series “The Judy Garland Show.” Compiled by Emmy-winning historian John Fricke, the stellar sets feature unforgettable performances (as well as many previously unavailable on CD), showcasing the talents of entertainers such as Streisand, Tony Bennett, Mel Torme, Lena Horne, Count Basie, Vic Damone and others. Also included in the packages are rare black and white photographs taken from rehearsals and tapings of the Garland series. Buffalo Grove grad sells script after becoming Nicholl finalist In a town where the action either has its foot stomped down on the gas or is idling in neutral, Josh Golden is not certain which analogy describes his current situation. But with his screenplay purchased by a major studio, the Buffalo Grove High School graduate may already be in the fast lane. “The industry, obviously, has a reputation for slow-moving parts,” Golden said. But observers of the Hollywood film industry are calling Golden a hot prospect. “We’ll see,” he said. Golden is the writer of “Road to Oz,” which no one outside of Tinseltown has heard of, because it does not exist in film form yet. 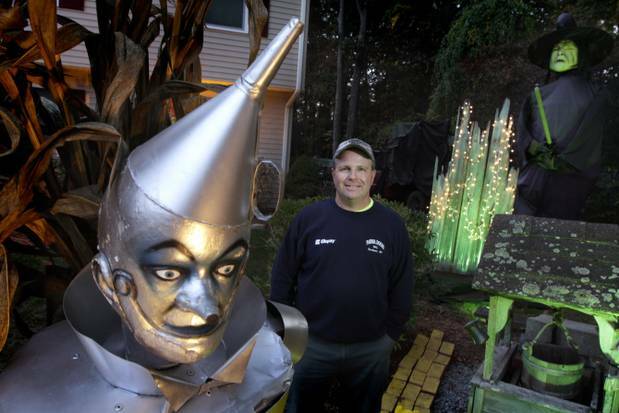 His script is a biopic of L. Frank Baum, author of the famed “Wonderful Wizard of Oz” stories. New Line Cinema purchased the script at the end of the summer and is now shopping around for production. 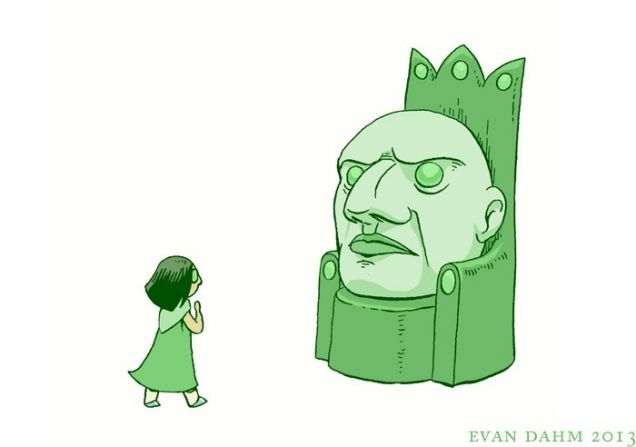 These Stunning Illustrations Restore Awe And Wonder To The Wizard Of Oz Rice Boy creator Evan Dahm has gone back to the book’s text and is illustrating a new edition of L. Frank Baum’s classic novel. Dahm recently launched a Kickstarter campaign for his new illustrated edition of The Wonderful Wizard of Oz. The edition will include 100 of Dahm’s illustrations—24 full-page illustrations, one for the start of each chapter, and dozens of spot illustrations. If you want a copy of the hardcover book, head over to Kickstarter and back his project. I also highly recommend checking out Dahm’s webcomics, including Rice Boy, Order of Tales, and Vattu. You can also see more of Dahm’s Wizard of Oz work, including his sketches, at the Baum by Dahm blog. Emily Tierney: ‘I’m always cast as a witch – I don’t know what that says about me’ ‘My sisters’ children want to be in musicals now because of us. I think they want them to have nice sensible careers and not follow in Auntie Em and Uncle Will’s footsteps. I’m so pleased because my sisters’ kids are the right age to come see a show now – they think their auntie Em is a fairy. One of them was asked in school the other day what their aunts or uncles do and she told them: “Well auntie Em is a fairy…” I’m not going to correct her on that.